We're throwing a Pop-Up Party in the Sandringham Reserve this coming Saturday 10 November 1-4pm. 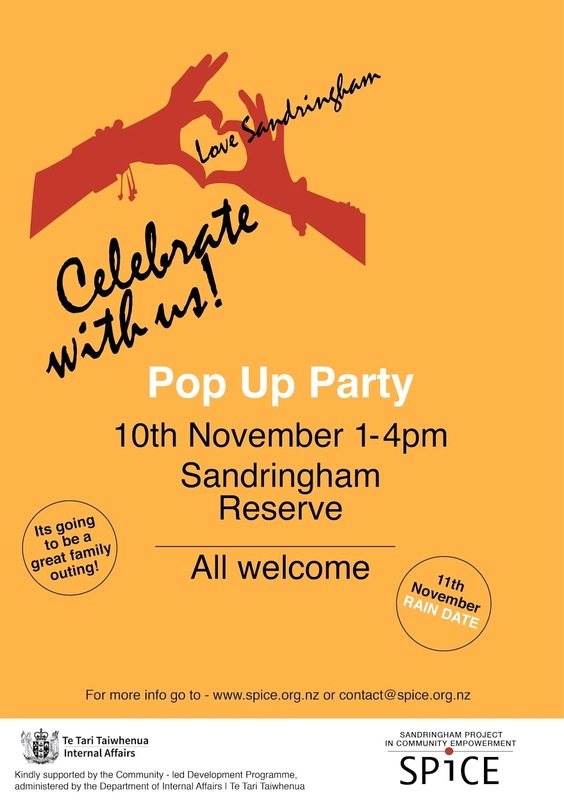 It is a family friendly fun day and there will be face painting, a bouncy castle, and FREE samosas! 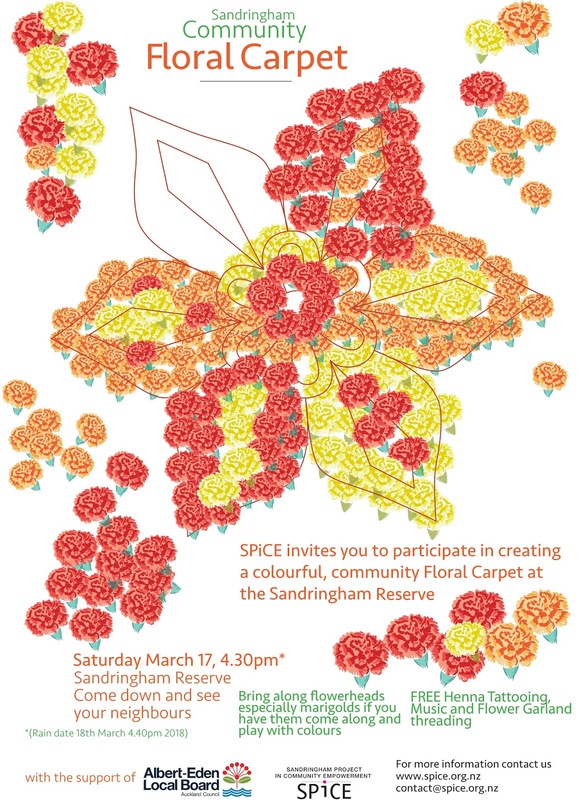 The party is to celebrate the Reserve and playground upgrade that the community was involved in, and to celebrate the new community-led partnership relationship that SPiCE now have with the Department of Internal Affairs. There are 12 community groups throughout NZ that the DIA has chosen for this relationship and SPICE are proud to be one of them.